Vision issues may become a problem for clients of elderly home care services, and cataracts are a common condition. You can explain to your client that a cataract is when the normally clear lens of the eye becomes clouded, giving your client a foggy view of the world. Clouded vision can make it more difficult to read, drive, understand facial expressions and walk up and down stairs. The good news is that most cataracts develop slowly, but overtime they can interfere too much. Glasses can help for a while, but eventually your clients may need surgery to have the cataracts corrected. 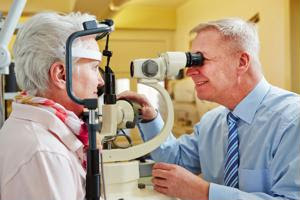 Cataracts happen for a variety of reasons including genetics, other health issues, eye conditions of illnesses like diabetes, past eye surgery or trauma. Long-term steroid medication use can also lead to cataracts in some cases. If you client answers yes to these, he or she may want to schedule a visit to the optometrist to have their eyes checked for cataracts.